The Pen and Cape Society is doing a holiday giveaway of books and authors’ merchandise. Click through to the PCS website and be part of it. Just letting you know that the Pen and Cape Society is putting out another anthology. There’s a Legion of Nothing universe story in it. If it matters to you, Lee’s one of the major characters in it (though not the main character). EDIT: I should also mention that it’s a benefit for James Hudnall, a writer (of many comics and recently novels) who is experiencing hard times at the moment. Ian Healy, a fellow author in the Pen and Cape Society is releasing a new book soon. If you’re interested in pre-ordering it, you can do so at any of the links below. They’re also a great place to read the cover copy, and see if you’re interested in the book. Related to that, another PCS member, Marion Harmon is releasing a new book today. Here’s a link (though I recommend reading the previous books in the series first). Hey folks, PCS is doing a story where each section will be written by a different author and the main character’s decisions will be made by the voting public (that’s you, I’m hoping). I’ve got two things to talk about. The first one’s fun. The second is a little more mixed (but not bad). 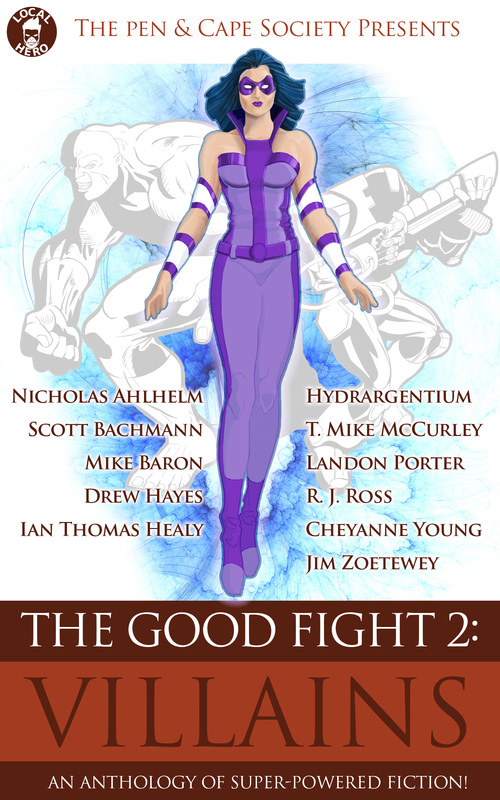 First then, I’ve joined up with a bunch of other superhero fiction authors to create a group for mutual promotion. It’s called The Pen and Cape Society. Please check out the website. 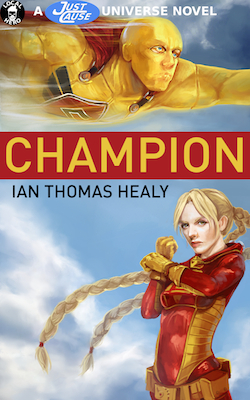 For what it’s worth, I wrote a short “origin story” for how I came to write superhero fiction. Some of you may have seen the second thing in the comments of the most recent post, but I thought I’d address it in it’s own post where people are likely to actually read it. 1889 Labs put out the first Legion of Nothing book, and they did a great job. Unfortunately the owner of 1889 Labs (a small press) has had to deal with a series of unfortunate life events. The result is that he won’t be putting out any more books for a while. The practical result of that is that I’m on my own with regards to publishing. This isn’t the end of the world, but it requires a bit of work on my part. Also, a bit of money. Why money? I’d like to rehire the same artist as we used for the first cover, and have someone go over the final draft for typos (some of which will likely have been introduced by editing). Thus, I’ll likely do a Kickstarter campaign in the next month or two. Hopefully there will be a good response.